Feel free to send an e-mail with your concerns and questions, or make an appointment to discuss face-to-face. To be able to buy a property in Greece, you must obtain an “AFM” number, this is a tax number, which you can apply for directly at the tax office or appoint a lawyer to do so on your behalf. We can also assist in this matter. The best way to bring money in the country is to open a bank account and transfer the money from your home bank account, this way you can prove that you brought the money in from abroad, otherwise the tax office might think you earned that money in Greece and you might end up having to pay income tax on the amount. We wouldn’t want that to happen. We can recommend our lawyers, who also speak English, but this is entirely up to you, if you wish to appoint your own lawyer, you are free to do so, the same goes for the notary. With newly to be built houses you pay in stages, watch out for agents that ask you to pay the full amount, without the property to be finished. There are companies known in Crete, for swindling people out of their money and disappearing without ever finishing the properties. The best advertisement isn’t the glossy newspaper add, but a satisfied customer. We won’t answer positively to all of your questions and demands; some things are very strictly regulated in Crete, and really can’t be executed. But we will do our best to comply with your demands, this is why we rarely begin building a property before it’s been sold, this way the future owner still has a personal input in some things that he/she would want differently done. Our experts can give you all necessary details about the taxes that have to be paid, the registration, lawyer – and notary fees, and advise you in any way for you to make the best deal. Since 2009 there is a ‘property tax’ to be paid yearly, this is new and in no way to be compared by northern European taxes. Mostly it is about 1 € per square meter of the property per year. But your accountant can give you specific information about this. In most areas you can get a connection for the internet, which makes it easy and cheap to stay in touch through MSN or SKYPE with the loved ones that stay behind and dear friends. From April till November there are direct charter flights to be booked from several cities in Europe to Crete. Outside the tourist season you can fly anywhere from Athens, this is only a half an hour flight. Crete is only a 4 hours flight from the UK, which isn’t too long to fly to the sun. A drive through town in the UK can be slow due to traffic, in Crete we practically don’t know the meaning of a traffic-jam, during tourist season it might get busy on the roads, but when you move to Crete, traffic-jams are history. In most areas outside the cities you won’t even come across traffic lights while you shop for your daily groceries. A lot of people are annoyed by the Greek “siga, siga” which means “ calm, take it easy”. And most people use “avrio” a lot, which means “tomorrow”, but don’t worry, here at this office we work hard and our professional employees are workmen that can be believed on their word. The Cretan people live more relaxed, enjoy life more, hardly or never have stress and live by one of the healthiest Mediterranean diets with a lot of fresh fruits and olive oil. In the cities life is off course busier, but in Crete it’s okay, you can’t compare our cities with Athens f.e., this is the capital city with more than 4 million people. One might say that Crete is almost as big as the Flanders in Belgium, where 6 million people live, and in Crete live about half a million people. When you choose to buy a property in Crete, you make a good decision that will positively influence your life. A life changing decision you won’t regret. If you have any more questions, we are here to help you without any engagement. 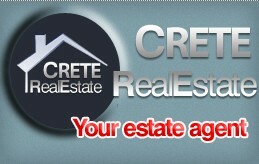 We will do our best to assist you during the entire process of buying your dream house under the Cretan Sun.